Which Ram Truck Will Tow the Most without Breaking the Bank? and which Ram Truck will give it to you? listed by and what configurations will get you there, and price point alternatives. 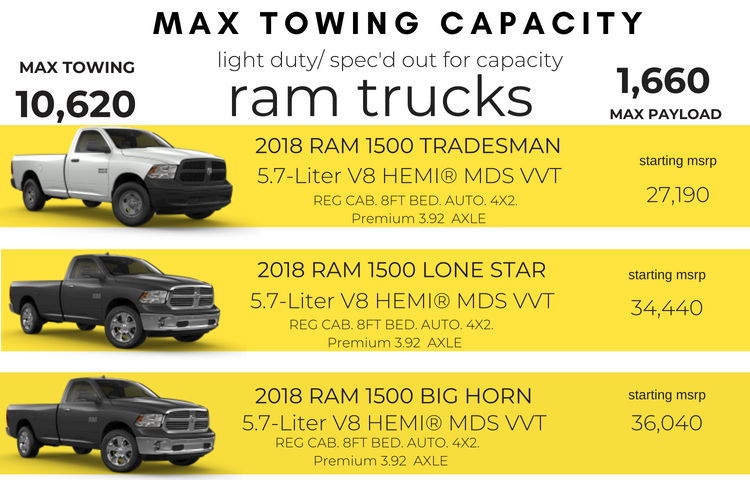 In order by max towing capacity and then by price. and an 8 ft bed, and 4×2 drive, needing that premium 3.92 axle, that’s the ticket. VVT stands for variable valve transmission. counter-intuitive if you ask me, but just slightly less.